Once again, the PA is seeking recognition of the State of Palestine with East Jerusalem as its capital and has demanded that Washington recognizes the two-state paradigm as “the sole solution”. Meanwhile, Trump has been reiterating that his decision has taken Jerusalem off the negotiation agenda. The only suggestions from the PA centered on international conferences regarding Jerusalem and repeated rhetoric about two states, both of which require the least effort from the international community and the PA itself. Abbas has not undertaken one single endeavor that highlights a unified Jerusalem from a Palestinian approach. The reason is not an absence of legitimate claims, but decades of diluting and normalizing Israel’s colonial expansion even by and within the purported Palestinian leadership. In line with such decisions, the PA will never be able to discuss Jerusalem beyond generic, meaningless statements. Even worse, the dismissal of Trump’s comments as a “continuation of US policies in favour of Israel” without even considering the adoption of a Palestinian approach as opposed to the defunct, international demands, translates to standing aside and becoming an observer to Israel’s colonial expansion and its consequences, none of which will affect the PA’s hierarchy. Jerusalem is fast becoming just another issue over which the PA can try to assert its imaginary relevance. It is little wonder that Majdi Al-Khaldi speaks of East Jerusalem as compensation for Palestinians, given that veteran negotiator Sa’eb Erekat has already squandered Palestinian claims to the city, as revealed in the leaked Palestine Papers. There is a discrepancy between how the PA and the Palestinian people themselves relate to Jerusalem. East Jerusalem is an enforced compromise which the PA endorsed, in line with international impositions. During the protests following Trump’s declaration, however, the prevailing slogans emphasized a unified Jerusalem. The PA has created a situation where Palestinians do not have a leadership that defines a unified Jerusalem, with the result that Israel’s colonization of the entire city has no formal diplomatic opposition. Before Trump’s declaration, Jerusalem was often spoken about in terms of conflicting claims. The phrase is incorrect, due to a failure to distinguish between Palestinian history and the Zionist colonial process. The acquiescence has been extended gradually by the PA, to the point that when it comes to articulating Palestinians’ rights to Jerusalem, the PA is only speaking of compensation, in line with its inferior political position. However, Abbas and other PA diplomats have dragged Palestinians into a dangerous quandary. The people are capable of asserting their rights, yet such dissemination is impeded by the PA due to its choice of supporting the international community’s endeavors which allow Israel to colonize all of Palestine. Now that recognition of East Jerusalem as Palestine’s capital and recognition of the State of Palestine have been described as compensation, is it not time that the PA declares itself to be a compromised collaborator in the colonization process? 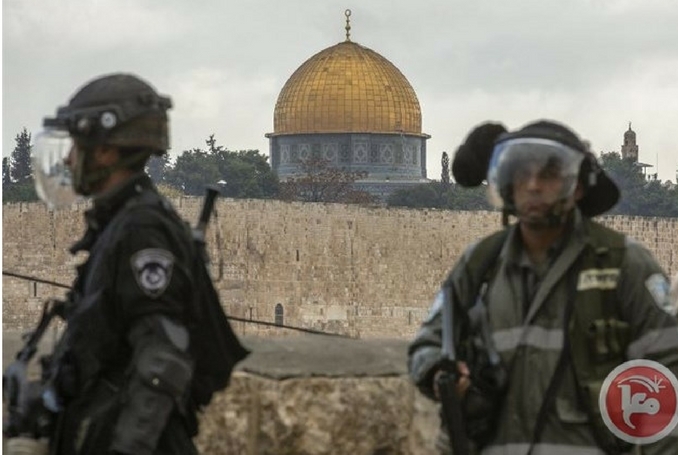 Be the first to comment on "Only Compromised Palestinian Leaders Could Describe their Right to Jerusalem as ‘Compensation’ #Palestine #GroupPalestine #israelTerrorists #boycottIsrael"